The final equality. 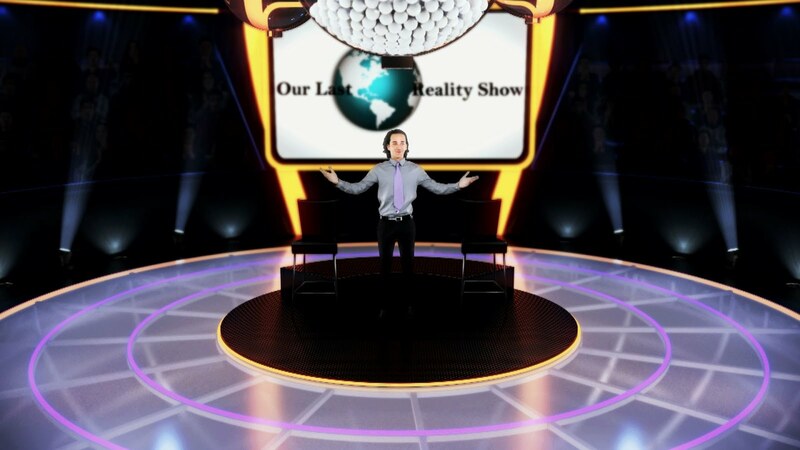 Our Last Reality Show: Save Our World! Is it a dream or a miracle? a famous hero of a daily reality show! that every one is able to win it. All the country plays the same game at home in front of its TV sets. New game millionaires are born as a part of the show. It can be the Game TV studio hero and every TV viewer at home as well! not very clever, not very strong but any one of us! Finally we all are equal! Share our new world to save us all!